Gravity Falls Fans: New DVD Release! My boys love Gravity Falls on Disney and were psyched to see that there’s a new DVD release that features 6 episodes! Gravity Falls – Six Strange Tales is $14.99 on Amazon and released on October 15th. It’s not just a Halloween DVD though – if you haven’t seen Gravity Falls, it’s about two kids who move to a strange town that has a bunch of peculiar things that happen year round. 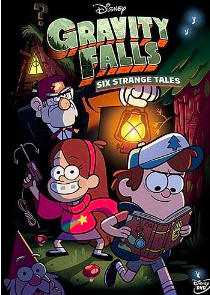 Gravity Falls – Six Strange Tales is $14.99 on Amazon and a great purchase if you plan on traveling this holidays or have a Gravity Falls fan in the house!